English Heritageis inviting contractors to bid for the £60,000 project, which is part of a £27m scheme to improve the setting of the monument. English Heritage said the buildings will provide a “real and tangible link for visitors to the distant past”. 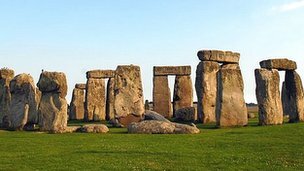 But a “key aim” for the new centre is to create “a sense of prehistoric people using, working and living in the landscape”, an English Heritage spokesperson said. The recreated Neolithic buildings will form part of an “interactive and experiential” external exhibition at the 3,500-year-old World Heritage site which receives more than one million visitors a year. 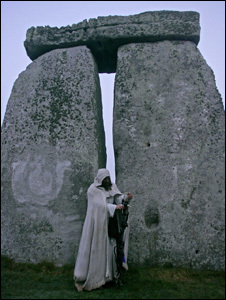 “Visitors will be able to walk into these houses, see how people may have lived 4,500 years ago and experience something of the lifestyle of the builders who constructed Stonehenge,” the spokesperson said. The prehistoric homes will be based on the foundations of dwellings discovered at Durrington Walls in 2007. The large settlement, dating back to 2600-2500 BC, was discovered under earthworks 3km (2 miles) from the stone circle. “We’ve had about 15 to 20 contractors – mainly architects, traditional builders and civil engineers – respond,” said Robert Campbell from English Heritage. “But it’s a learning project – the contractor will be working with volunteers, using Neolithic building techniques and materials which hopefully will have been collected from the local area.